What is the reason beyond three phase transmission? Home / Technical Articles / What is the reason beyond three phase transmission? Three-phase electric power systems used for high voltage AC transmission lines (50 kV and above). 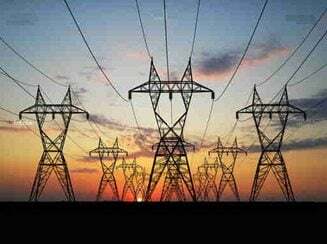 As the need for increased transmission line capacity have forced power utility and owner to maximize power density in existing transmission corridors. Many experienced have already been done on this, one way to get to this goal (increased capacity), is the use of more than three phases. Theoretical and experimental studies have considered up to 36 phases systems. Up to 36 phases, the six-phase and twelve phase systems have been chosen the most attractive alternatives to replace for the three-phase systems. Example of phase to phase voltages for multiple phase systems up to 36 phases are shown in below, comparing with the corresponding phase to ground voltages. What are the key points of multiple phase lines? In six-phase systems, phase to phase voltages are equal to phase to ground voltages. For the orders higher than six, phase to phase voltages between adjacent phases are lower than phase to ground voltages. This is the reason that always in multiple phase systems, the phase to ground voltages are taken as reference. Whereas in three phase systems phase to phase voltages are always equal, phase to phase voltages in multiple phase systems depend on the selected conductor combination. Comparing with three phase system, we get the following characteristics of multiple phase system. Lower voltage for the same power can be transmitted. Lower voltage gradients, resulting smaller conductor size to used. Power transmission with more than three phases, for example six-phases, requires corresponding transformers and circuit breakers, switchgear and bus bars for six poles as well, what is more expensive and results in difficult protection (relaying) when interconnected with three phase lines. Therefore, the use of multiple phase transmission is presently restricted to some few lines. I’m interested in costing the doubling of the power lines in BC Canada to six phase as an alternative to building another dam. posted a drawing of an axial flux motor for six phase power at the Facebook website link above. Very good portal for conveying the knowledge to and from others. I hope those young electrician wont mess up with the phase sequence if we use more than 3 phase.